In 1969 I bought a Bacon bluegrass banjo that came with a Pete Seeger Song Book. Soon I had that resonator off and was practicing all the different styles in the book. I had played guitar before -- Country and Folk, and by '70 I was clearly into the folk music of the protest movement, playing in local coffee houses and had joined the Canton Area Peace Movement. About this time I got an album of Art Rosenbaum, an old-time banjo player who played clawhammer style. I wanted to play like that , but couldn't figure it out. One day in 1971 my cousin from West Virginia, who was attending the University of Michigan at Ann Arbor, invited me up and took me to meet his friend, Stan Werbin, then also a young student already immersed in the old-time traditional music scene. Stan, later to become the owner of Elderly Instruments in East Lansing, Mi, showed me "drop-thumb frailing" and I was hooked. Following a news paper story on now renowned banjo builder Doug Unger, I visited and learned more from his playing. I was inspired. I worked in a bowling alley then and between calls of "ball on lane 5" and "out of range..." I would practice the arrangements in John Burke's book Old Time Fiddle Tunes for the Banjo. The next year I met Dave Neff, a banjo player from Uniontown, OH, and soon I was a member of the "Blue Eagle String Band", along with Dave and Diana Neff, Bob and Carolyn Riley, and a fiddler named Ed Courier. We played local venues including workshops at the Kent State Folk Festival, which is where I met Wil Bremmer. Wil Owned a music store and instrument repair shop in Spicertown, a section of Akron near the university. I visited him many times, played banjo tunes and sang Utah Phillips songs. We'd go to the Byrth Coffee House near by and hear Alex Bevan, John Bassette and Jim Ballard, as well as a countless array of folk and traditional musicians. I remember wishing I had a place that would do it all, i.e. instrument repair and coffee house -- a real folk music center. Well you gotta be careful what you wish for, because you may actually get it. In 1976 I apprenticed with Scott Antes to build Appalachian lap dulcimers at his shop in Uniontown, OH, called Boulder Junction, after the small Colorado town in which he was born. In addition to selling at the shop, we sold at the arts and craft shows. He also ran a coffee house and hired the same folks who played at the Byrth, which by this time was gone. Then one day Scott announced he was selling the business and, to make a very long story short, I bought it. 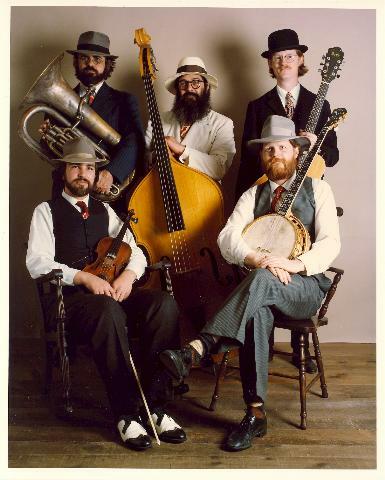 After awhile Dave Neff and I became partners (Dave and Scott were the original founders), thereby adding his vintage instrument connections, as well as considerably more business acumen than I had. Our "success" with instrument building and repair/restoration subsidized the coffee house, through which we met many wonderful folk and traditional musicians. Most played at the Kent Folk Festival: musicians from across the sea, like -- Lou Killen, Peter Bellamy, Alister Anderson, Joe and Antionette McKenna; and from this side -- Tracy and Eloise Schwartz, Debbie McClatchy, Scott Alarik, Malcom Dalglish and Grey Larsen, Flying Cloud -- and the Minneapolis folks -- Pop and Bodie Wagner, Poor Howard, Sean Blackburn and Dakota Dave Hull, and others -- Hot Mudd Family, North Fork Rounders, Cowboy Bill Stockwell, Radio Aces, and many more. Occasionally we would co-sponsor, along with the Kent Area Friends of Folk Music headed by Kerry Blech, the Highwoods String Band. This was my introduction to traditional folk music of America. Well, being a banjo player, I was often around fiddlers and took advantage of free lessons and pointers from, Lisa Orenstein, Sue Truman, Mary Dushane and whomever else would take the time. Another early influence was Columbus fiddler, Charlie Williams, who had once been Jeff Goehring's fiddle teacher. 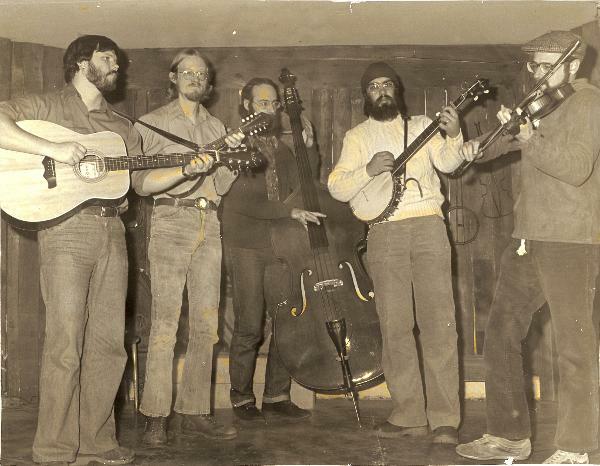 I was in a band, "South Forty," with Charlie, Roger Phillips, John Sherman and Richard Kolb. 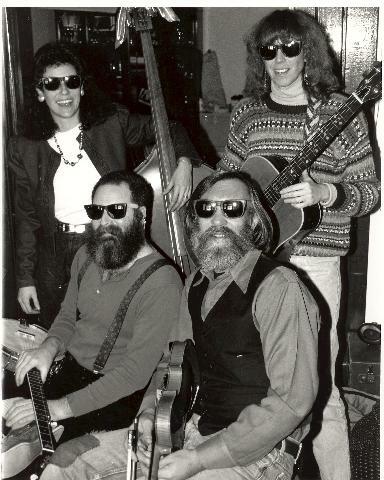 By 1980 that band had disolved and Roger and I were asked to play with the "North Fork Rounders," then down to two members, Les Powers and Mike Hopper. With a 5th member, Tom Atwood, we played together for 20 years and still occasionally coalesce for job or party. We began playing the Old-Time Music of The Skillet Lickers, Charley Poole and Uncle Dave Macon as well as fiddle and dance tunes. Gradually, thought we stayed in the same time period, we broadened our repertoire to include Tin-pan Alley, early jazz/swing and popular songs from the early part of the 20th century. 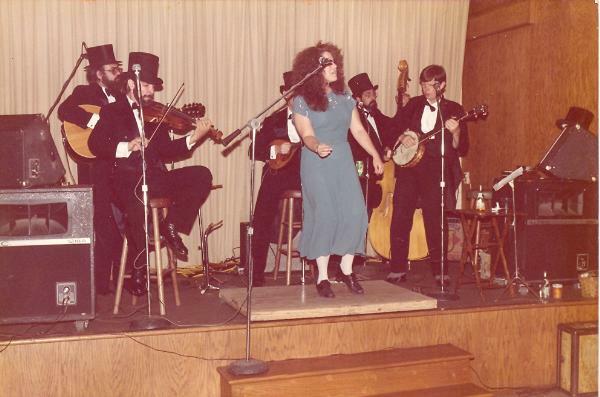 After all, we were an entertainment band and folks liked to hear Irving Berlin, Cole Porter, Bob Wills, Fats Waller, Roy Rogers and Gene Autry, unaccompained sea shanties, and an occasional song from an 1890's British music hall. 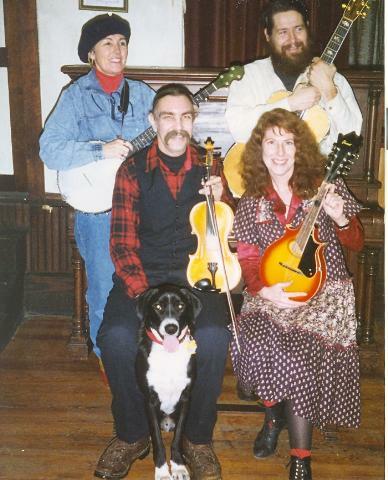 In 1991 Dan Levenson asked me to play fiddle for the " Boiled Buzzerds " with his wife Ruth on bass and Annie Trimble on guitar. It was then I renewed my journey into Southern Appalachian fiddle and dance tunes, a pursuit in which I'm still engaged. From being a buzzard, I next spent some time with the Mustel House Muskrats (Jon Mosey, Chris Hazen and Sid Cayhoe), the Mustel House being a tavern on the Ohio and Erie Canal in Akron back in the 1830's. Of course we played canal songs and fiddle tunes -- always fiddle tunes! For the past 10 years I have concentrated on attending Mt Airy Fiddle Convention, Mt Airy, NC and Clifftop Old Time Music Festival, Clifftop WV, learning the fiddle, making friends and playing tunes. 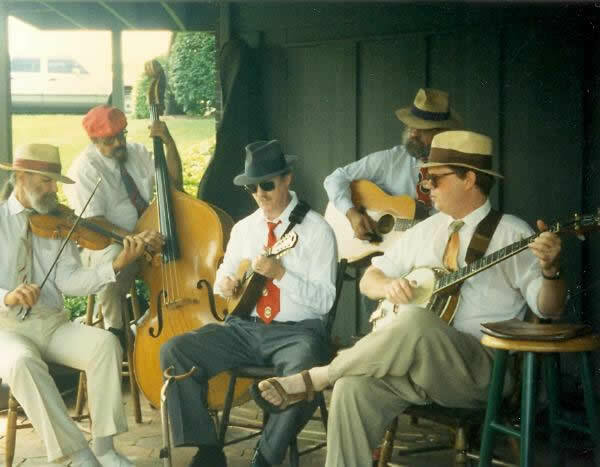 In 2003 I began recording with Mark Olitsky, one of the best clawhammer banjonists around, and Dave Rice, a seasoned guitarist steeped in the old-time traditions of accompaniment, as well as a fine harmonica player. That CD entitled " Gate To Go Through" contains many tunes I learned from WV fiddler Melvin Wine, who shared his treasures freely with whomever would learn. Gerry Milnes, in his tribute to Melvin in Old Time Herald says his fiddling is a "conduit" back to an earlier time before radio. Since he was "off the grid" he remained virtually un-influenced by modern fiddle styles. And that stream of consciousness into the past suits my sensibilities as I pursue more of those fiddlers of the older styles.